The 17hr bus journey wasn’t really all that bad…except for one Vietnamese guy talking incredibly loud on his phone several times and another guy snoring so loud I had to put in ear plugs. This time we were on the top deck, which meant we got swung about more, feeling every turn. Sometimes it even felt like the bus was going to topple over. We arrived in Hoi An at 7am and within moments there was a woman trying to get us to come to her shop where we could get clothes tailor made. 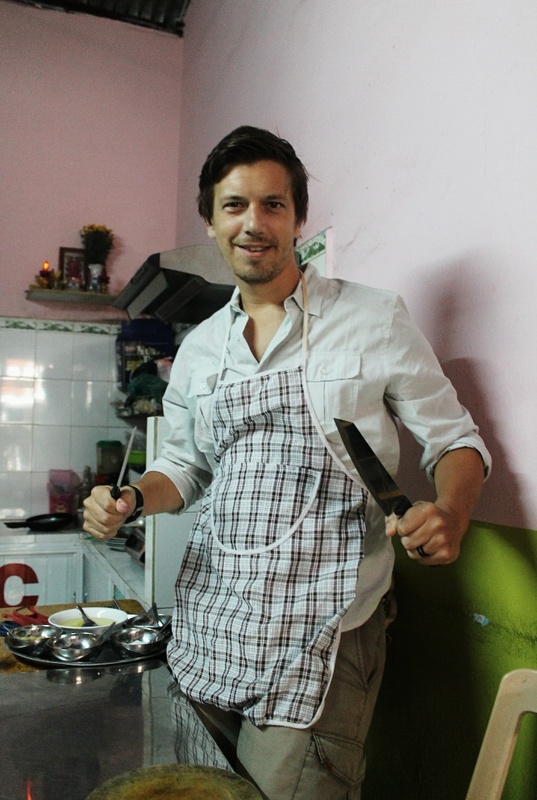 We headed to the local market to try some local delights for breakfast before going to our hotel for a little rest. Hoi An is filled with tailor shops where you can get virtually anything made fit-to-form. We are talking anything from under garments, dresses, suits and even leather boots or shoes. I got sucked into a shop by a nice woman and ended up getting a pair of jeans custom made. After the first fitting, the jeans were not like I envisioned at all and they agreed to work on them again. The jeans really weren’t doing me any favours. We went back and again they weren’t quite right. Finally, third times the charm, they were ready to go. They even put a D&G button on them to trick people into thinking I’m wearing designer jeans. 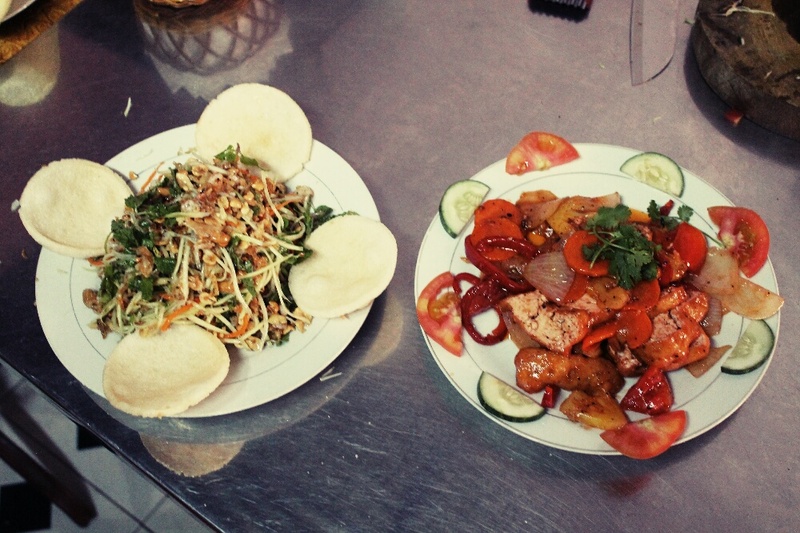 We stayed at Nature Homestay which is a few blocks from Trần Cao Vân Street which has several good restaurants. We took a cooking class together at Cafe 43. You get to choose 3 items from their menu you’d like to learn to cook. They charge you the menu rates for those and then you pay an additional $5/person for the lesson. It was really good value. Especially because we didn’t want to take the more expensive time intensive classes that are offered throughout the city. We had a lot of fun and can’t wait for our friends and family to try our delights when we get back home. Also found in Hoi An is the cheapest beer so far. 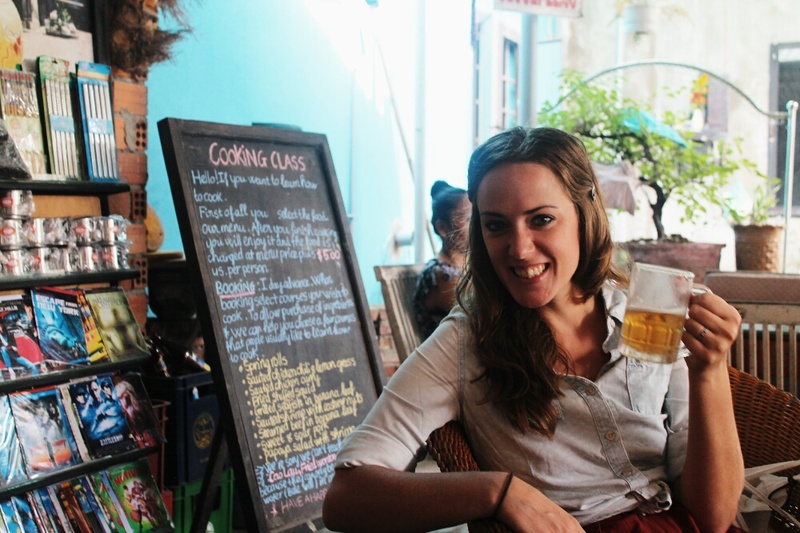 The locals simply call it ‘fresh beer’, we aren’t sure what that means, but it only costs around $0.12 a mug. It’s not the tastiest beer you’ll ever have but a dollars worth will certainly get you a tad merry. 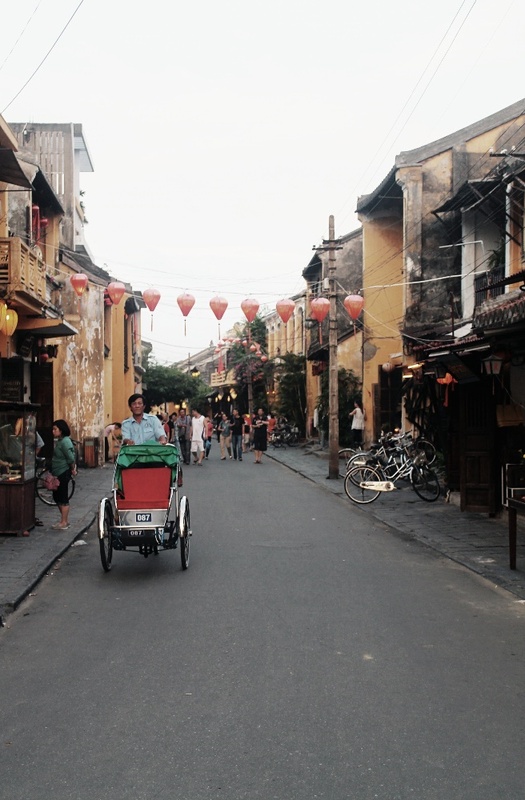 Hoi An is a quaint and charming place. The Old Town has locally made lanterns lighting the streets. They are lined with restaurants and shops and several hundred years old architecture, with the Japanese covered bridge being one of the main highlights. 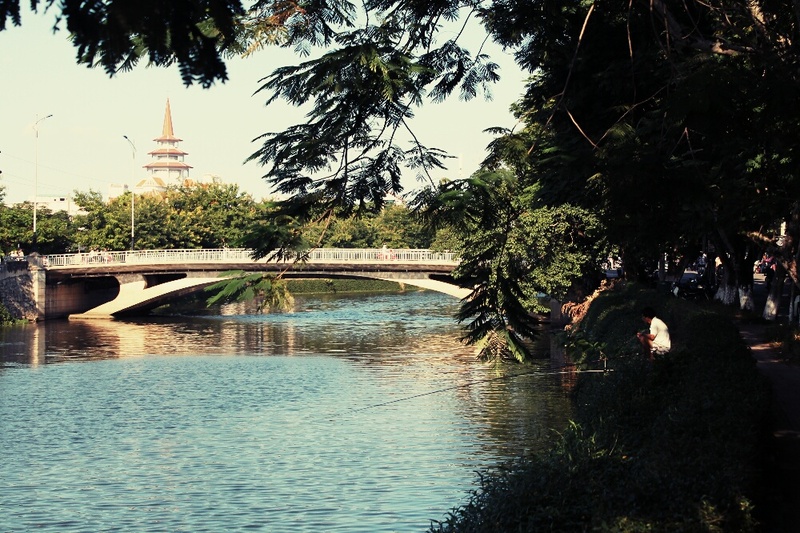 We strolled around the city and along the river on bicycles for a couple days and really enjoyed it. 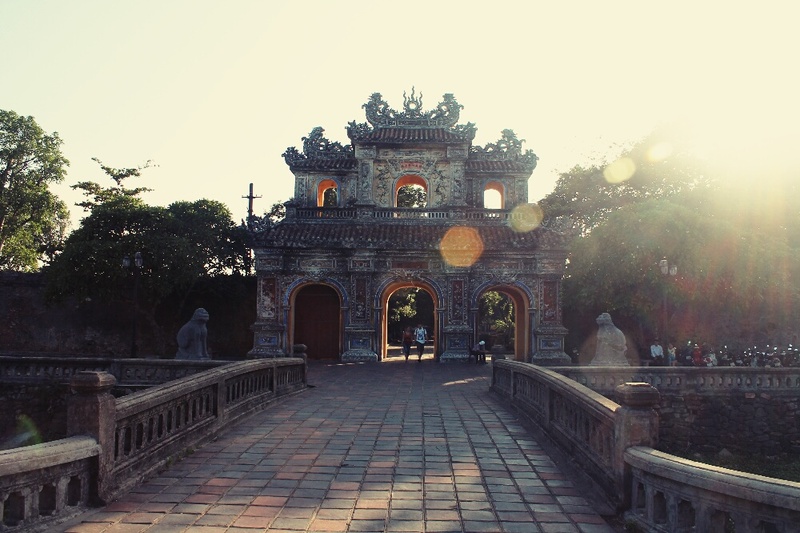 Hoi An is definitely worth the visit. Next we journeyed to Huè. 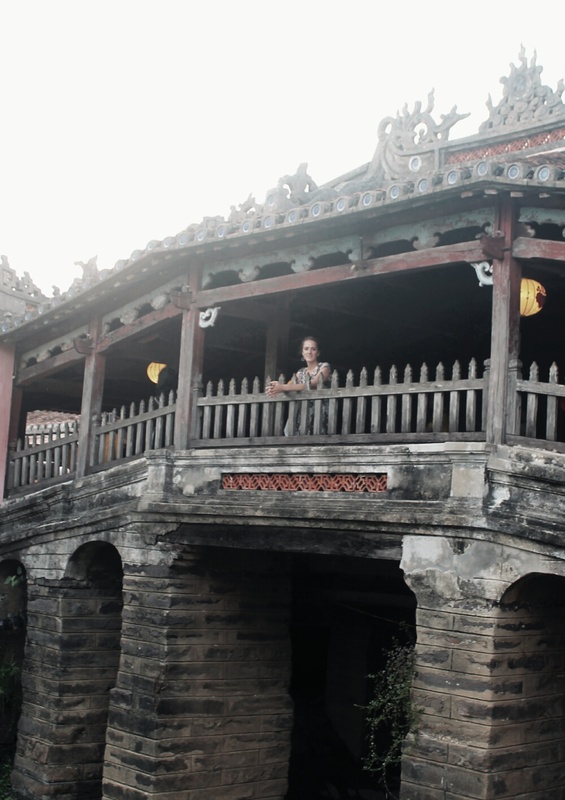 Check out this post to read about our epic motorbike journey from Hoi An to Huè. 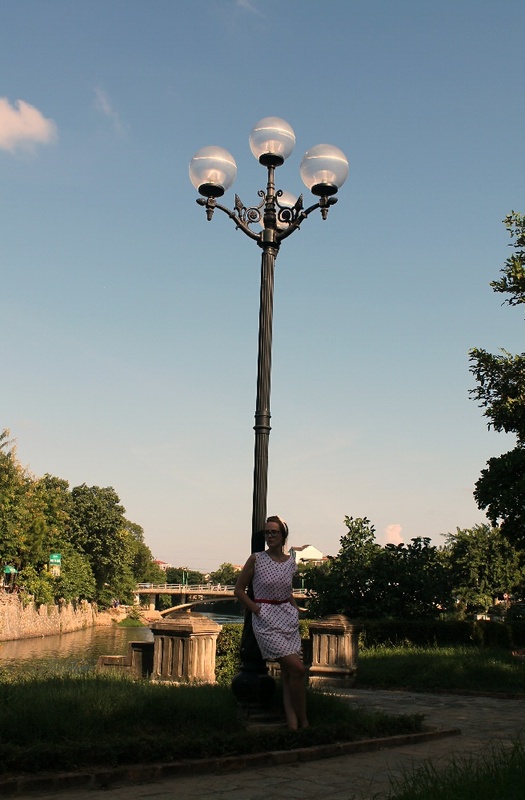 Huè is a nice place as well, but we both much preferred Hoi An. The Purfume River and Citadel (ruined city within walls) are main attractions here. We decided to rent bikes and cruise the city again. It’s a bit more hectic cycling here than in Hoi An because of all the traffic but it was manageable. We rolled along the river and around Citadel. We decided not to pay the entry fee to get into Citadel because we wouldn’t have had much time there before it closed and then the next day we just didn’t bother. I’m sure it’s worth the visit though if you find yourself in Huè. 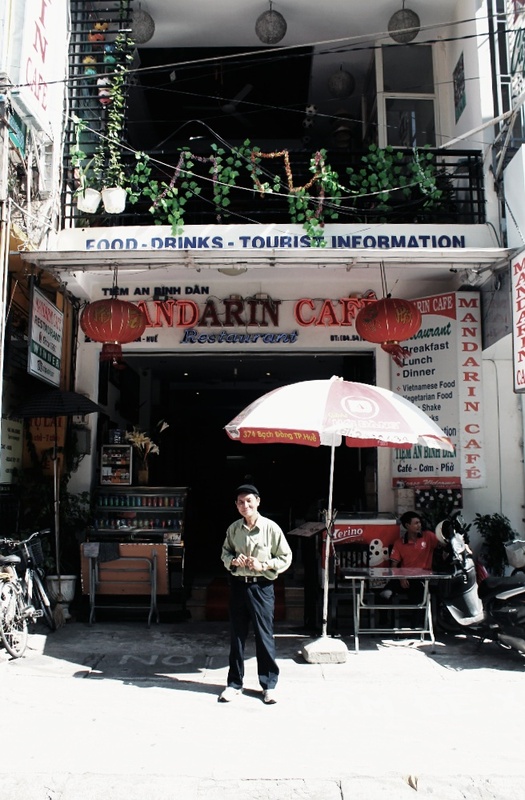 We ate lunch one day at Mandarin Cafe, owned by Mr. Cu. He is an internationally renowned professional photographer. 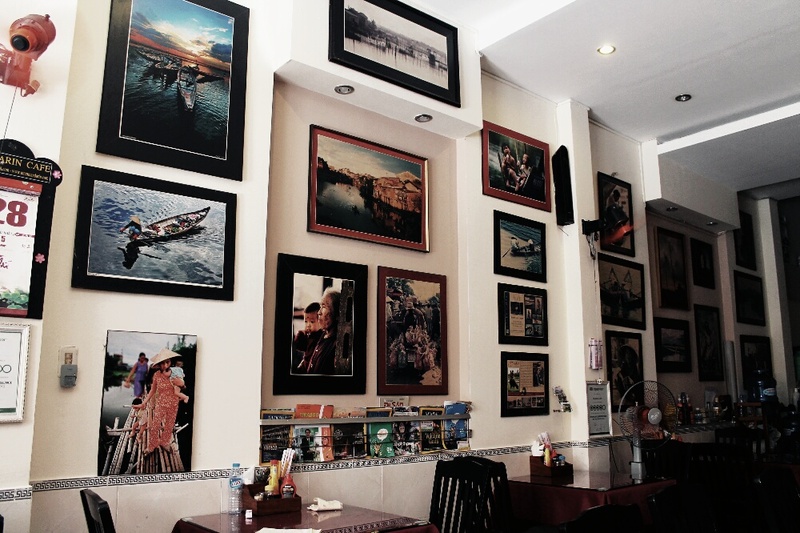 His work is displayed all over the walls in the restaurant and they are eye catching pictures indeed. He gives each customer a free postcard with his photographs on them; a nicely added touch. He told us how during the war he was a fire fighter working for the Americans. After the war because of his affiliation with the Americans, he struggled with the Vietnamese government and was unable to find work for 15 years. They even tried to get him to emigrate to the USA, but the love of his country deterred him from doing so. 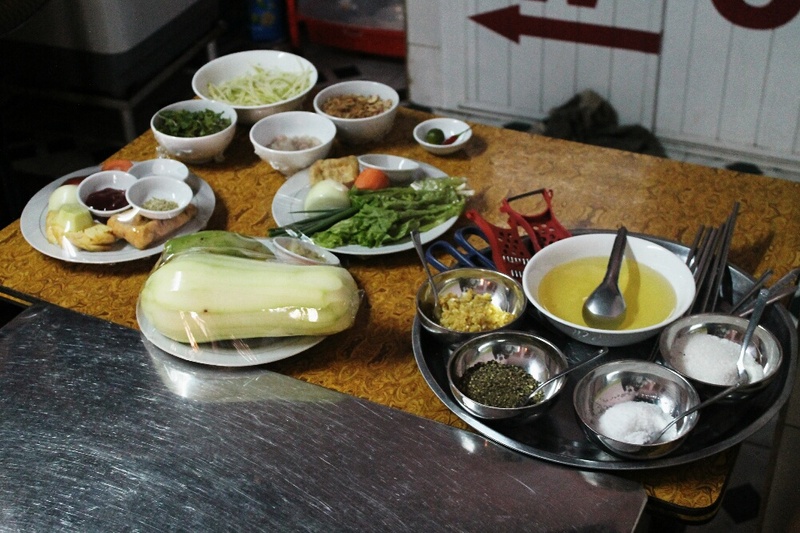 He was a really nice man and visiting him in his restaurant is one of our top recommendations in Huè. I think one of the absolute highlights of the trip was watching Stephen nervously getting his hair cut. 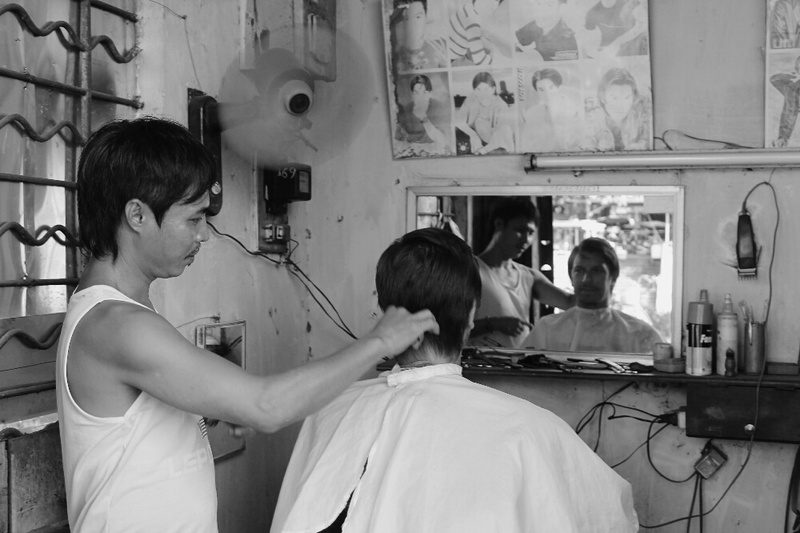 He chose a somewhat shady looking barbershop. The stylist (questionable) had a bit of a mullet, pointy sideburns and some rusty, very old looking scissors. Surprisingly the cut turned out alright and it only cost $2.50. The risk was worth it in the end. For the next stop on our itinerary, we are heading north to check out the Vinh Moc Tunnels and Cave exploring at the Phong Nha Ke Bang National Park. Stay tuned. 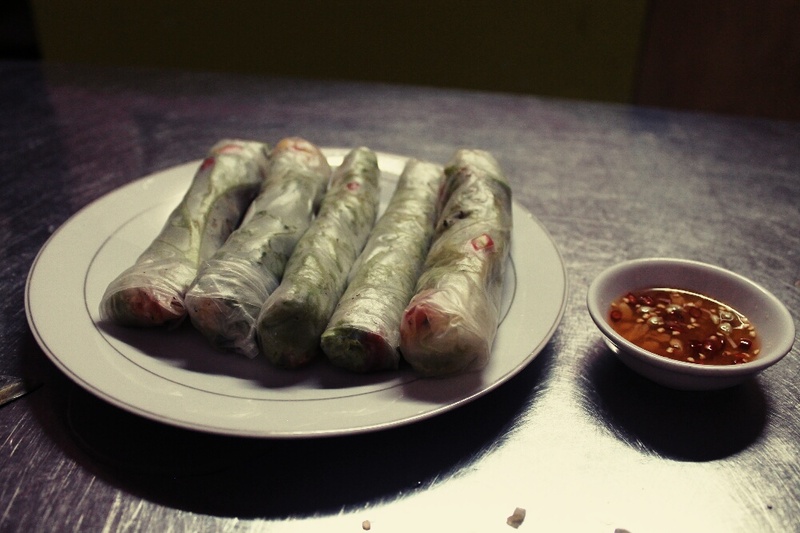 Posted on October 3, 2014 October 3, 2014 by themussmarter	This entry was posted in General MussMart News, Vietnam and tagged ancient city, backpacking, cooking class, hoi an, hue, old town, SE Asia, travelling, Vietnam. Bookmark the permalink. The pics are beautiful, you both look so happy. I miss and love you. I’m so glad you have this blog.